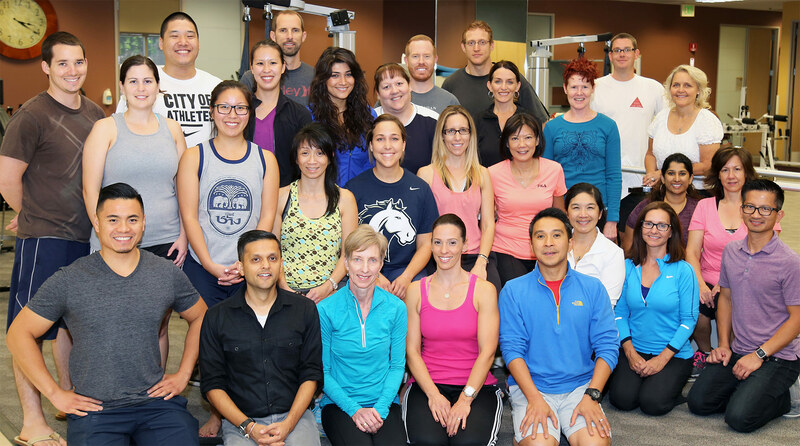 Movement Links course participants and instructors in Brea, CA. Weekend # 4 - Movement analysis based on integration of both upper & lower quarters. Analysis of complex movements and skills and breaking its component parts down to functional synergies, planar movements and impairments. Kelly explains a concept to class participants. Registration: Download 2019 brochure for eligibility requirements, course information and registration. 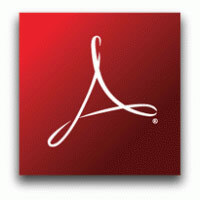 REGISTRATION FLYERS use Adobe Reader, a free download from the Adobe website. CLICK HERE to download software. David oversees a student in muscle analysis. Nicole explains the finer details of scapular activation in the prone-on-elbows position. 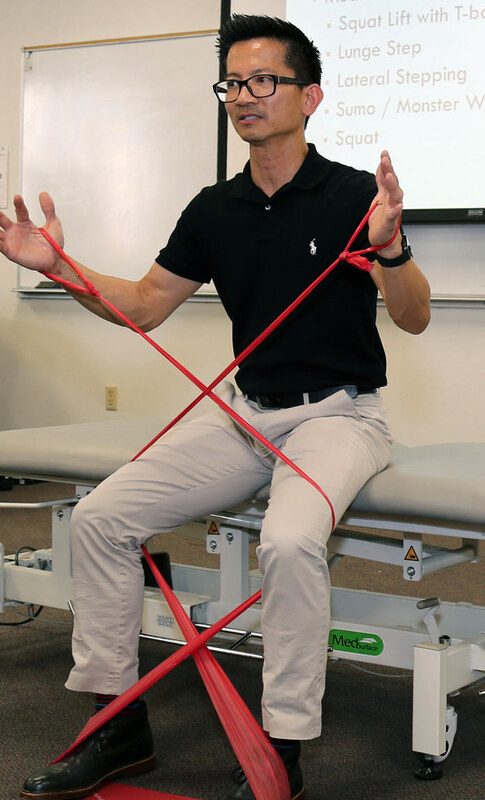 “In the last 15 years of my career as a professor and clinician, no continuing education course has more profoundly affected the way I teach and treat than the Movement Links series. 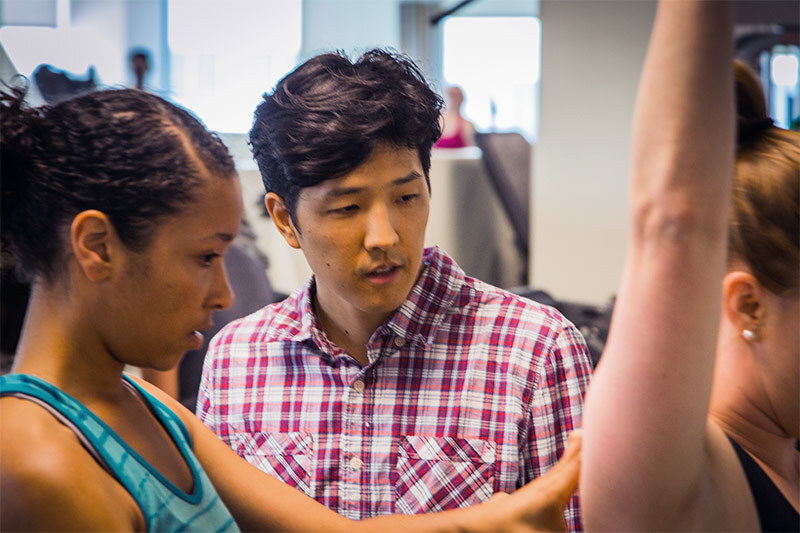 As a renowned leader in the ﬁeld of movement science, Dr. Clare Frank and her team bring a ‘down to earth-use it tomorrow’ approach to optimizing human function. 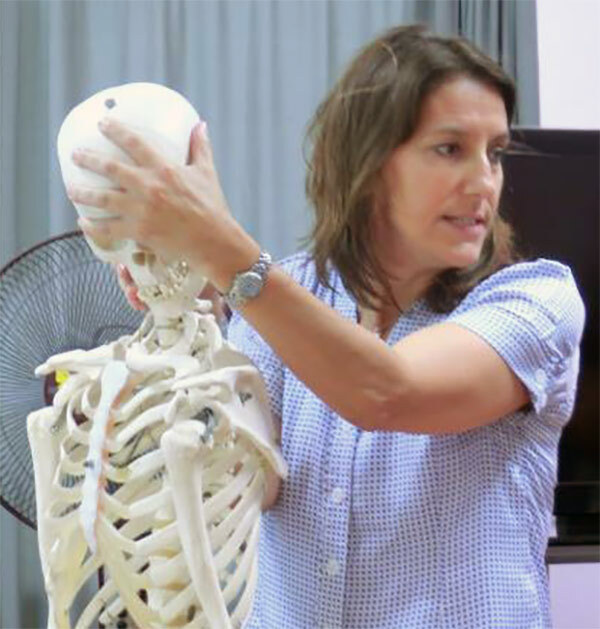 Tracey demonstrates cervical spine mechanics. Jay facilitates hip lateral r￼otators of a participant performing the step lunge. Jessica cues for proper respiration and abdominal bracing. 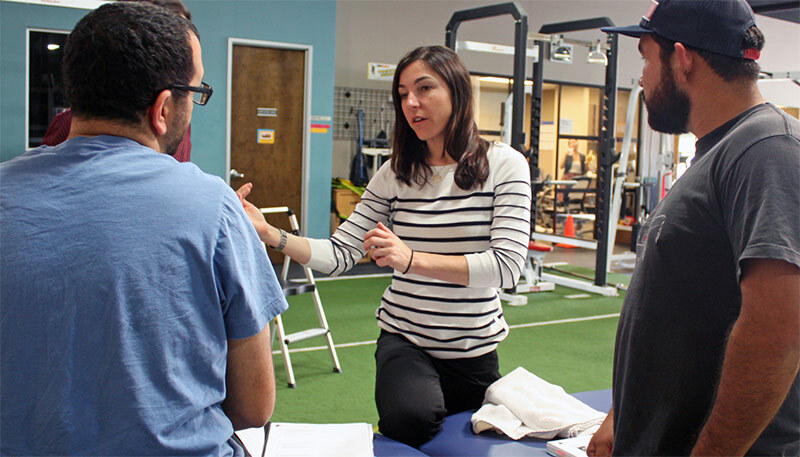 Clare provides tactile clues to promote spinal axial elongation. Francisco demonstrates the “Bruegger” theraband wrap.